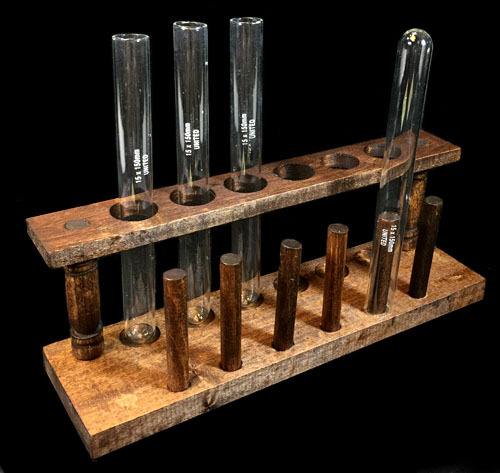 Our Small Test Tube Rack is all wood construction and handsomely stained for a classic laboratory appearance. The 6 holes will allow tubes up to 21mm in diameter to fit. The 6 pins are for test tube drying or storage. Hand carved & finished. Overall measurements are 9.25" long x 3.25" high. Very nice looking test tube rack and what we use in our labs here.